In an op-ed in the New York Times this week, my fellow Harvard physicians Pamela Hartzband and Jerome Groopman argue that it’s pernicious to reward physicians for meeting quality standards. These measures of performance, they say, are “population-based and generic, and do not take into account the individual characteristics and preferences of the patient or differing expert opinions on optimal practice.” Really? Are there no practices that physicians should routinely follow if they are to practice good medicine? 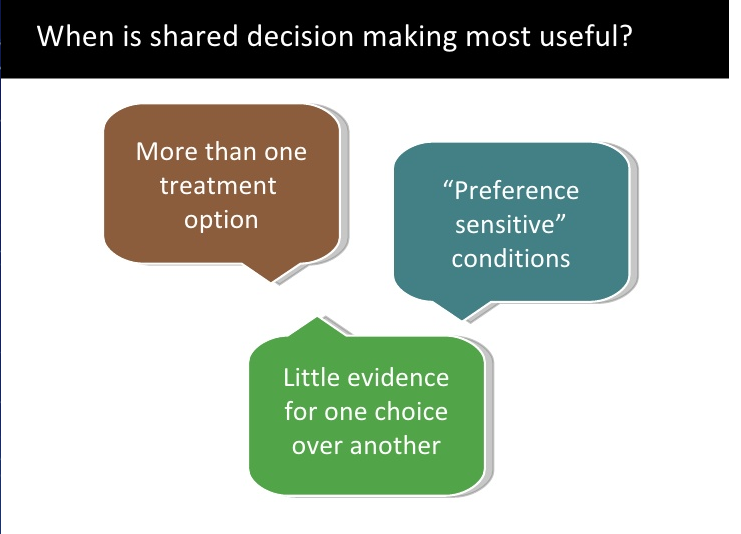 The answer revolves around the concept of “preference sensitive care,” articulated by Jack Wennberg and Elliott Fisher of the Dartmouth Center for the Evaluative Clinical Sciences. Preference-sensitive care involves treatments that involve significant tradeoffs affecting the quality and or length of life. It is contrasted with effective care, which involves essentially uncontroversial treatments that are unambiguously optimal, or for which there are no viable alternatives. What Hartzband and Groopman are arguing is that essentially all care is preference-sensitive and there is no such thing as effective care. Therefore, they conclude, there is no way that we can legitimately grade treatment as inherently good or bad—it either reflects patients’ wishes—or physicians’ recommendations—or it doesn’t. The view that there are no medical practices that constitute “effective care” and that all medical care is preference-sensitive strikes me as profoundly misguided. In 2003, RAND evaluated the quality of medical care in the US and found that only 55% of adult patients surveyed by telephone had received recommended medical treatment. These treatments included counseling on smoking cessation to patients who had had heart attacks and long-acting inhalers for people with chronic asthma. Did the 45% of patients who did not get standard treatment actually receive care that, while not consistent with expert recommendations, conformed well to their preferences? Could 45% of physicians have deliberately and thoughtfully chosen a course that deviated from expert recommendations because they had unique insight about what was best for their patients? Is there a plausible reason why physicians should not advise cardiac patients to stop smoking or patients with at least moderately severe asthma to use inhalers? I doubt it. What about older people? Perhaps this is one population where most treatment is preference-sensitive. After all, as I have often argued in this blog, what makes sense for people who are frail, dying, or have dementia depends heavily on their goals of care. Even a seemingly clear-cut decision such as whether to have surgery for a broken hip might have a values component. A patient who is dying, for example, and whose only goal of care is his comfort, might choose to have bed rest and pain medication rather than the rigors of surgery. So are there quality indicators, those “metrics” that Hartzband and Groopman vilify, that apply to the geriatric population? I looked at the most recent HEDIS (Healthcare Effectiveness Data and Information Set) measures, the set of indicators used by health insurance companies throughout the US to evaluate physician performance. These were designed by the NCQA (National Committee for Quality Assurance), a non-profit, non-governmental, independent body that relies on expert judgment and public feedback to determine quality indicators. It turns out that there are 5 HEDIS measures for older adults, addressing physical activity, pneumococcal vaccination, osteoporosis testing, medication management, and fall risk management. The 5 domains were chosen for good reason. Physical activity plays a role in maintaining physical function as well as in staving off depression, cardiovascular disease, and other chronic illnesses common in old age. Pneumonia is very common in the elderly and it’s a killer. When it doesn’t kill, it causes shortness of breath and confusion, often resulting in hospitalization, and may trigger other conditions such as a heart attack. Osteoporosis is responsible for tremendous suffering, mainly in the form of pain and impaired mobility, and predisposes to fractures. Falls, like osteoporosis, are the cause of an enormous amount of misery in old age. Nobody, and I mean nobody, wants to fall, just as nobody wants to have osteoporosis. Medications are commonly used by older people—on average, they take about 5 prescription drugs—and the more medications a person takes, the greater the likelihood of side effects. If the targets are reasonable, are the specific quality indicators themselves? In general, the answer is yes. The pneumonia metric, for example, looks at the percentage of adults 65 and older who report ever having received a pneumococcal vaccination. The only people for whom getting a pneumonia shot doesn’t make much sense are those who are dying. And even patients who are dying presumably weren’t dying a year or two years ago, at which point they should have gotten immunized against pneumonia. Since the measure asks if a person has ever been vaccinated, the only older patients for whom this is inappropriate are those who develop a lethal illness at age 65 or those who regard life as worse than death (usually also people with a fatal illness) and who hope they will get pneumonia. There will always be people who refuse the shot out of a misguided belief that it will cause them harm. Some people will have religious objections—though I have yet to find an established religion that forbids vaccination (the exception is Christian Scientists but they aren’t likely to go to doctors in the first place). So physicians will rarely achieve a score of 100% on the vaccination metric. But the question is not whether vaccination can always be achieved; it’s whether vaccinating against pneumonia constitutes good medical practice. It would be nice to have separate measures for patients who are near the end of life, for those who meet the criteria for enrollment in hospice (whether they have chosen to enroll or not). At the very least, for patients with a limited life expectancy, the physician should be able to indicate that the quality indicators are “not applicable.” But apart from this concern, the quality measures strike me, on balance, as entirely reasonable. According to a report just released by the NCQA, 54% of the US population (171 million people) now have health insurance from a plan that uses HEDIS measures. Over the last 3-5 years alone, 46% of the HEDIS measures have shown consistent, statistically significant performance gains. Surely this is progress. Some treatment decisions are preference-sensitive and for these cases, we should find a way to determine if physicians are eliciting their patients’ preferences and treating them accordingly. For those treatments that constitute “effective care,” the quality indicators make good sense. It’s a dirty little secret that nobody other than professional geriatricians and palliative care doctors seems to know. But inside those circles, most everyone is aware that palliative care is an up and coming field that has tripled in size since 2000, while geriatrics is floundering, with fellowship training slots going unfilled in recent years and the number of board certified geriatricians declining. So an editorial in the Journal of the American Geriatrics Society advocating that the two disciplines work together to promote a joint agenda set me to thinking: why the difference? A slew of factors have contributed to the success of palliative care. As Dr. Diane Meier points out in her editorial, the decision to push the field by “making the business case” to hospital CEOs rather than by focusing on getting NIH research funding was crucial. The creation of CAPC, the Center to Advance Palliative Care, which focused on leadership training and skills development, was a brilliant innovation. But I couldn’t help wondering whether the different trajectories of palliative care and geriatrics, which both address the needs of the 5% of the population who are the sickest—and who use half of all health care resources—could be traced in part to different attitudes toward the old and toward the dying. 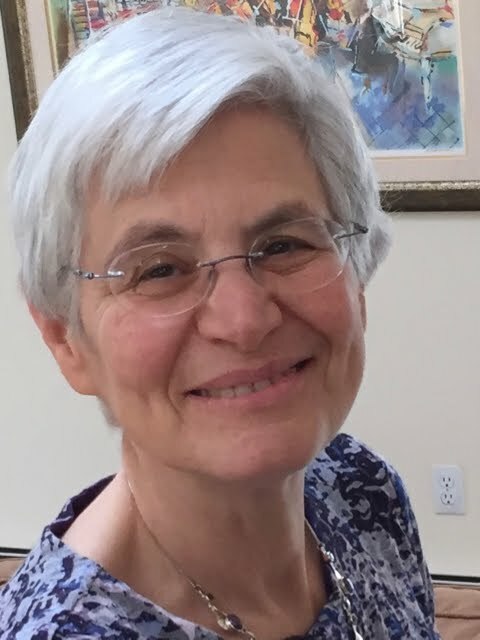 An article by geriatrician Dr. Louise Aronson in a new series of groundbreaking articles on aging in the Lancet suggests attitudes matter. I remember that my decision to do a fellowship in geriatrics was met with the same mix of derision and incredulity 30 years ago. Another young doctor in my medical residency program gave me an extremely backhanded compliment: “But you’re very smart,” she said, “so why would you go into geriatrics?” Could it be that palliative care is thriving because we are ready to face dying but geriatrics is struggling because we are unwilling to face what comes before the end? 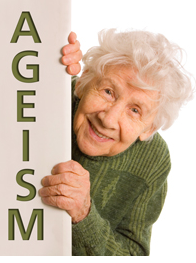 Aging is one of the greatest challenges faced in the world today. Throughout the world, people are living longer. Falling fertility rates and rising life expectancy have led to an aging population in the developed world, but the same phenomena are striking the developing world with a vengeance: in the US, it took took 68 years for the proportion of the population over age 65 to double and in France it took 116 years—but in China, it will happen over a period of 26 years and in Brazil in a mere 21 years. The demographic shift has been accompanied by a shift in the “global burden of disease:” in 2010, 23% of the total disease burden in the world was attributable to disorders in people over age 60. The most burdensome disorders afflicting our aging world include heart disease, stroke, chronic lung disease and diabetes, as well as lung cancer, falls, visual impairment, and dementia. The good news is that we already know a great deal about what we need to do to increase the “lifespan,” as one of the commentaries in the Lancet series calls the length of time that an individual is able to maintain good health. We need to use a conceptual framework that focuses on functioning rather than on disease. We need to build and support an appropriately trained workforce—both formal and informal (ie family) caregivers. A comprehensive public health strategy must taken into consideration the physical and the social environment. It needs to be grounded into an approach that begins with comprehensive assessment, elicits patient preferences, and implements a treatment plan that is continuous, coordinated, and multidisciplinary. So if we know what to do, why don’t we do it? The barriers to a global strategy for aging are many. They include a health care system that focuses on treatment of single diseases in isolation—even though most older people have “multimorbidity” and following guidelines for single diseases leads to over-treatment and excess costs. They include social factors, such as inadequate income protection and lack of caregivers. They include lack of knowledge—as the incidence of heart disease falls and treatment of cancer improves, a larger and larger percentage of older people will die of dementia, a disease with no known treatment. Currently, 44 million people have dementia world-wide, and that number is projected to rise to 136 million by 2050. But perhaps the greatest barrier is ageism, the belief that poor health is inevitable, that all interventions are ineffective, and that better outcomes, even if they can be achieved, are not inherently valuable. We need to tackle the global challenge of aging. The World Health Organization has taken an important first step: at the World Assembly last May, it agreed to prioritize work on aging, to develop a “World Report on Ageing and Health,” and then to generate a Global Strategy and Action Plan. But it cannot just be the WHO who cares about aging. We all need to care. Sometimes, less is more. For patients with advanced dementia, most of whom are in their eighties and many of whom have other chronic conditions such as high blood pressure or high cholesterol, it just doesn’t make any sense to take all the drugs that are usually prescribed for them. In a recent article in JAMA Internal Medicine, researchers looked at a large sample of nursing home patients to determine the proportion taking medications “of questionable benefit.” What they found was that over half of nursing home residents with advanced dementia were taking at least one such drug. We could get distracted by methodological concerns: after all, the classification used by the researchers was based on the consensus of experts, who in turn relied on whatever data were available, which was virtually never high quality, randomized clinical trials. Moreover, these experts assumed that for patients with advanced dementia, a “palliative orientation to care,” is appropriate, though this is not necessarily what the patients’ surrogate prefer. But the point, as the authors of the current paper argue, is that commonly used medications such as lipid lowering drugs and chemotherapy are at the very least “of questionable benefit.” In fact, as suggested by the editorial accompanying the article, the overuse of medications in advanced dementia is just the tip of the iceberg. Medications of questionable benefit are commonplace in frail elders and older people with moderate dementia, not just in those whose dementia is so advanced that death is imminent. Greg Sachs, Chief of Geriatrics at Indiana University, proposed a framework for thinking about whether a medication is useful in an older person. He suggested beginning with life expectancy. Older people who are in excellent health and can expect to live for another 5 or 10 years are very different from those who are in the last year of life since some medicines work by immediately ameliorating symptoms and other medicines will only provide benefit after they’ve been taken for years. This leads to the next question: what is the lag time before a medication achieves the desired effect? (Pain medicines, for example, are effective within hours or at most days; some antidepressants work within days, others take weeks to kick in; medicines to control cholesterol are generally intended to prevent heart disease years in the future.) Finally, what are the patient’s goals? Is the patient interested in a longer life, no matter what price he has to pay, in which case he might want to take a medication with a small chance of working and a high risk of side effects (such as certain chemotherapy drugs)? Or is he interested in maximizing quality of life, in which case he might want a medication that makes him feel better regardless of the consequences for his length of life (choosing, for example, pain medication over chemotherapy for cancer). Deciding whether or not a particular medication makes sense for a given older individual is not always easy. But it’s crucial to realize that more is sometimes less. More medications mean more opportunities for dangerous interactions among drugs. 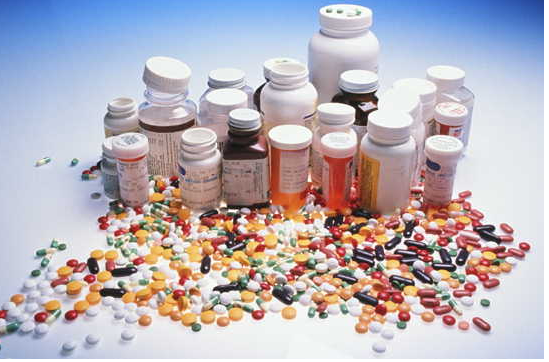 The greater the number of medicines, the greater the risk of an adverse drug reaction. Optimal drug regimens are generally determined by studying younger patients who have only one thing wrong with them—the disease to be treated with that medication. Extrapolating to older people, whose bodies handle drugs differently from their younger counterparts, who have multiple illnesses, and who may have a limited life expectancy, is perilous. Prescribing many medications for the elderly can be an excellent way to treat their diseases—but it might be a trick. 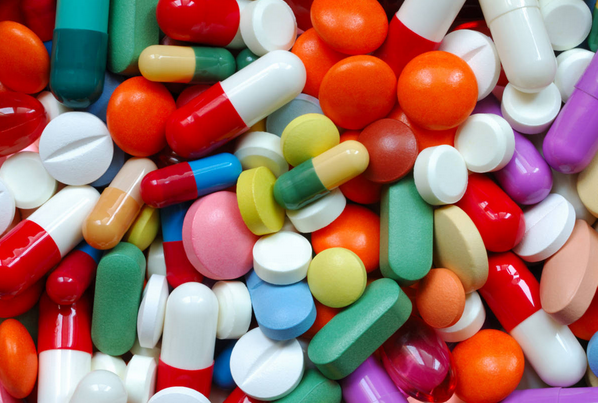 Do older people take too many pills? See post this weekend. I’m about to enter the brave new world of high deductible health plans. Not because I want to, but because that’s all my employer offers. The truth is that these plans basically make all health care coverage “catastrophic insurance” in that they don’t pay for much of anything until you’ve racked up a bill of upwards of $1500 per person (as much as $10,000 in some plans). There’s a growing literature on the consequences—good and bad, planned and unintended—of these plans, some of it by my own colleagues, who’ve shown, for example, that poor people are far less likely to go to the Emergency Room, even for a genuine emergency, once they switch from a conventional to a high deductible health plan. Remarkably, given that 20% of all health plans are now of the high deductible variety, according to a recent Kaiser report (and 80% of plans have some kind of deductible, amounting on average to $1217), we don’t know the effects of this kind of coverage on health outcomes (things like control of diabetes and survival from cancer), we don’t know the effects on the use of life-saving procedures, and we don’t know the full range of consequences for vulnerable populations. These big picture issues are critically important. But some of the more bizarre features of high deductible health plans are seldom discussed. They are what I’m calling the sickness penalty, the prevention perversion, and the wealth benefit. A “well visit,” otherwise known as a “checkup,” is free with a high deductible health plan. Incidentally, there is absolutely no evidence that comprehensive physical examinations for well adults are beneficial. A “sick visit,” by contrast, which is useful, is paid out of pocket until the deductible has been met. The underlying message, it seems to me, is that if I’m sick, it’s my fault and I have to pay. Literally. Now the official justification for making patients pay for care when they get sick is that if they have "skin in the game," they will not over-use health care services. They will only go to the doctor if they are really sick--a policy that might make some sense if patients could be relied on to know when they are really sick. But if this were the only reason for paying for checkups but not for sick visits, why not require a screening phone call before a visit, whether to the doctor's office or the emergency room? Why pay for checkups, which have not been shown to be beneficial and refuse to pay for sick visits, which have? It seems to me that the underlying reason harkens harkens back to the quintessentially nineteenth century view of the “worthy poor” and the “undeserving poor.” Widows and orphans were regarded as justifiably poor—and therefore deserving of charity care. Unskilled foreigners who had on-the-job accidents were less worthy of our compassion, and alcoholics and syphilitics were completely undeserving. The sickness penalty in today’s high deductible health plans likewise takes the idea of individual responsibility to new heights—ignoring genetics and indifferent to chance, it simplistically and preposterously assumes that sickness is the patient’s fault. Checkups are sanctioned by high deductible health plans because the person going for a checkup is not sick. But more than that, the purpose of a checkup is prevention, and preventive care is good. But it turns out that the main type of preventive care that is meritorious (i.e. free) is what epidemiologists call “primary prevention,” doing something now, when you are entirely well, to prevent the onset of illness later. Immunizations—things like flu shots—are an example of primary prevention. Exercise (if it’s to fend off the development of heart disease, but not if it’s to make a sore back better) and diet (if it’s to prevent the occurrence of cancer but not if it’s to treat diabetes) are forms of primary prevention. But suppose that during the course of my check up (ostensibly free), I mention that I’ve had occasional rectal bleeding. I really didn’t think anything of it and I feel fine; I figure I have a hemorrhoid. This prompts my doctor to order a colonoscopic exam, which in principle can detect colon cancer early and allow surgeons to cut it out before it causes any symptoms. As soon as I mention bleeding during my check up, that visit is transformed into a sick visit and is subject to the deductible. If I don't say anything and hope my doctor will discover the blood when performing a rectal exam, then the visit is still free since early detection of occult disease counts as "secondary prevention," which is the other type of prevention for which health insurance will pay. There’s another aspect of high deductible health plans that I haven’t heard discussed, and that’s the wealth benefit. Patients can open a health savings account to help pay off the deductible. This involves putting before-tax dollars into a special fund for all those nasty health care costs that you will have to pay for out of pocket. In many cases, employers contribute to the account, which can be supplemented by the employee. So if you set up one of these health savings accounts (HSA) and use the money to defray the deductible, the insurance company can claim that premiums are low when in fact your contribution to the HSA is actually a premium by another name. But what’s diabolical about this is that you don’t pay taxes on the money you deposit into your HSA. This means the cost to you of a $1000 contribution to your HSA if you are in a 40% tax bracket is really only $600. If, by contrast, you are in a 10% tax bracket, the cost to you of that contribution is $900. The richer you are, the less you pay. That’s called a regressive tax, even more regressive than a flat sales tax. So far, high deductible health plans are mainly for those under 65. The strategy of high deductible health plans for Medicare beneficiaries hasn’t gotten much traction. There are some, with “Medical Savings Accounts” to accompany them. Before we go any further down this path, we need to take a hard look at the assumptions underlying the latest attempt to improve health care quality and lower costs with a market policy.